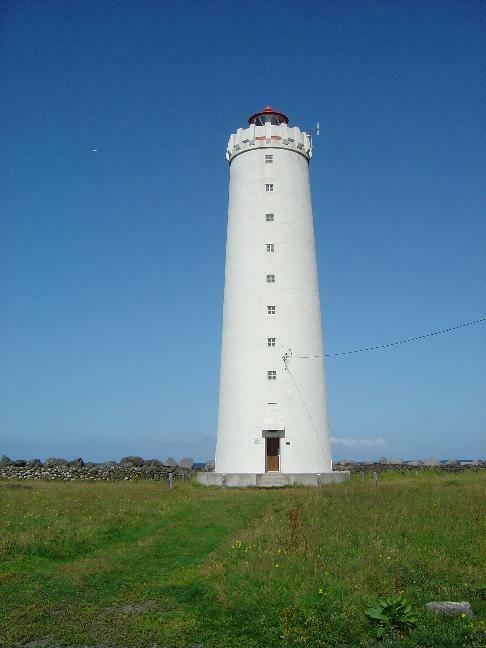 Gróttu­viti is the light­house at Selt­jar­nar­nes, in the very west end of Rey­kja­vik. The main rea­son for rat­ing the ter­rain of this cache as so dif­fi­cult, is that the cache is lo­cat­ed on an is­land that can only be reach­ed by foot when the tide is out - un­less you have a boat or don’t mind to swim in cold water. Each day there are two pos­si­ble pe­ri­ods of maxi­mum six hours each to vis­it this cache. A time­table for the tide can be found here and here. If you want to reach the site by pub­lic trans­ports, you can take bus num­ber 11 to the bus stop at N64°09.455' W22°00.079', after which you will only have to walk the last 1.000 met­ers to reach the given po­si­tion, from which you will have to walk an addition­al few hund­red meters. The treas­ure is hid­­den in a plast­­ic box meas­ur­­ing 8 * 10 * 15 cm. You can­not see the box with­out mov­ing at least one or two stones. Ori­gi­nal con­tents: Log­book, pen, an iron-on patch for clothes, a funny look­ing pencil sharp­en­er, some coins from different countries and TBGG8H, "The Vagabond Viking". Be sure to hide the cache well when you are done! Please note, that you are not supposed to go to the island during May and June, when the birds are laying their eggs! Please never put food, candy or anything similar in a cache. Such items will attract animals. Orgjrra rnegu, fgbar naq jbbq.